What’s more important — a pool table, or a place to sleep? Trust me, I understand your situation more than most. It’s not that you just want that big, impractical item in your home: You need it. For me, it’s the full cabinet of the classic arcade game Turtles in Time, which I have moved to a half-dozen different places over the past decade — including a tiny apartment in Brooklyn — and could never part with. So I get it — you want a regulation size pool table, or drum set, or the classic Batman pinball machine, or a ridiculously big aquarium to house your pet octopus, but you’re not sure if you can fit it into your small apartment. Well friends, I’m happy to tell you that yes, your dreams are possible, and I’ve reached out to the pros to get some tips on how to make that ridiculous item of yours fit in your home. First, you need to know that you can’t have everything. I know, I just told you that you can fit your crazy item into your home, but achieving your dream will likely come with a degree of sacrifice. “If someone is adamant about having a specific luxury item while living in a small space, they probably have to give something up,” says interior designer Tina Ramchandani. “So if you’re going to have a pool table, you probably won’t be able to have a dining room table too.” It’s really about defining what’s important to you and figuring what you can live without, which all comes down to the individual person. The individual apartment, of course, is a factor too. In a one-bedroom apartment, you might be able to sleep in the living room and use the bedroom for your drum set. For a railroad apartment, Ramchandani says that you need to be sure you have a clear path so that the whole apartment is actually accessible. As for a studio, it may help to divide up the room into different sections by utilizing screens, different color schemes or area rugs, so that it’s clear that your room consists of separate sections. In addition to doubling up items, there are some other space-saving tips you can utilize. Wynter says that a loft bed is an incredibly space-saving item as long as you’re cool with that bunk-bed feeling. She also recommends to “go vertical” by utilizing storage space atop cabinets. You can even free up some space by storing items from your ceiling like Jerry’s bike in Seinfeld. Or, you could go more extreme altogether. Rebecca West, author of Happy Starts at Home, says, “If you want a fun hang-out space with a pool table, just embrace that genre fully and decorate pub-style. There are no rules that say you have to have a sofa or a dining table.” In other words, you don’t have to design your home like, well, a home. If you live alone and a recliner in front of the TV is all you need, just do that and get a few bar stools for entertaining. Of course, living alone is probably the only way you can get away with this, unless your roommate, spouse or even family is cool with living in the pool room from Cheers. West says that if you live with someone else and you want to buy some huge impractical item, you have to check with them first — there’s no way that they’re going to come home from work and not notice their apartment suddenly has one of those giant keyboards Tom Hanks danced on in Big. She warns, though, that these concessions tend to be short-lived. Perhaps now you can have that pinball machine in the living room, but that might only be for another year or so, until you move. Then, while you’re house shopping, “a requirement for the next space is that you get a dedicated game room,” says West, adding, “It can be easier to live with something that drives you crazy if you know it’s not forever.” (By the way, I did exactly this, and now my entire basement is a Ninja Turtles-themed haven with the arcade game as the centerpiece. It’s glorious). Drum Set. This will likely fit best in a corner, as you can’t keep taking it apart and putting it back together — just make sure you leave yourself the elbow room. West says that drums in particular would fit nicely under a loft bed, too. Pinball Machine. 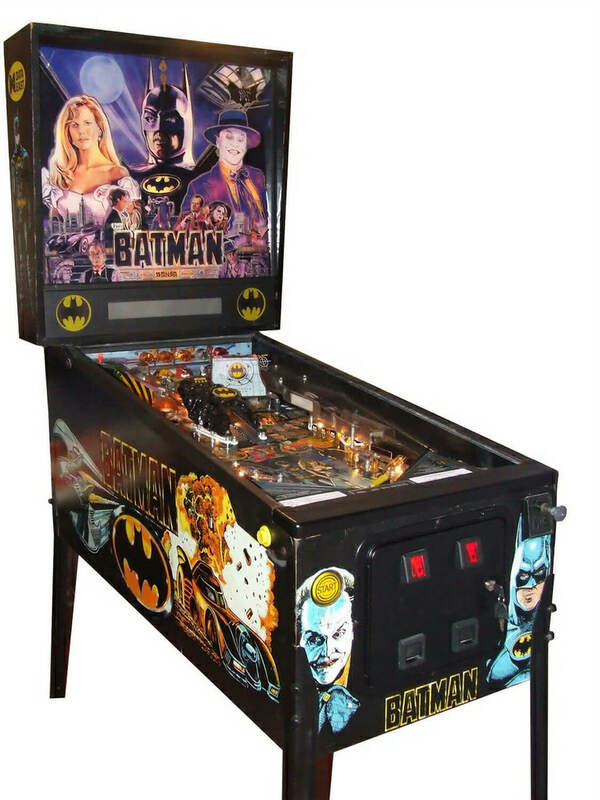 If a pinball machine taking the place of an end table doesn’t work, Wynter says you may be able to utilize a recess in a wall, or repurpose a closet and set the machine in there. Arcade Game. 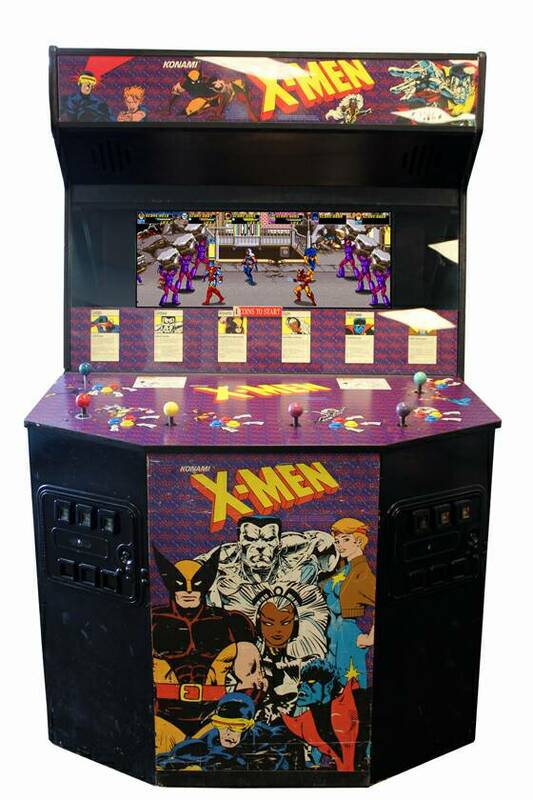 The difference between this and a pinball machine is that you only need to access the front of the pinball machine, yet if you’ve got a four-player game like mine, or a six-player like the old-school X-Men game, you need the elbow room. So place it catty-corner in the corner where it’s most convenient. Foosball Table. This is an item that could definitely utilize a custom top and double as a table, but if that doesn’t work, Wynter says you should look into one with foldable legs and store it under your bed. A Ridiculous Aquarium. Ramchandani says that these can make really dynamic and beautiful room dividers (as long as you clean the tank). Pool Table. 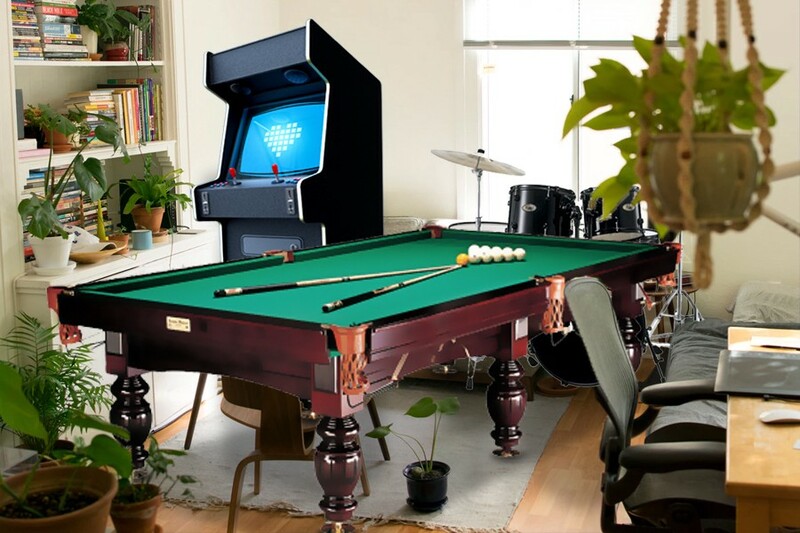 The pool table is undoubtedly the holy grail of big, impractical items for guys, and honestly, of all the items mentioned here, this is the one that actually may not fit, depending on how small your space is. But as long as you have a room that’s at least 16 feet by 13 feet, you can make it happen, all other furniture be damned. Any less than that, though, you’ll likely be putting holes in your wall.